This is a flexible center that can be used in many ways. These are objectives I use with this center but I'm sure there are more! 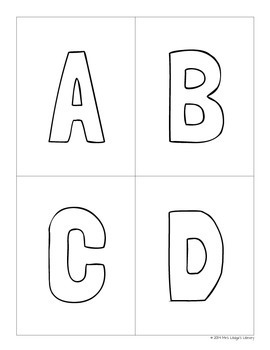 Center objective 1: Students will identify letters of the alphabet. 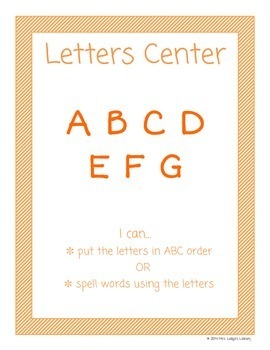 Center objective 2: Students will sort letters into alphabetical order. 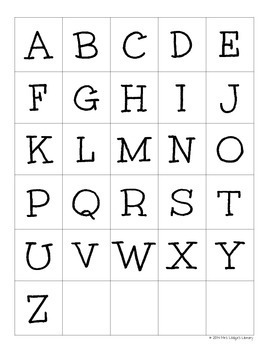 Center objective 3: Students will match upper and lowercase letters. Center objective 4: Students will spell known words. 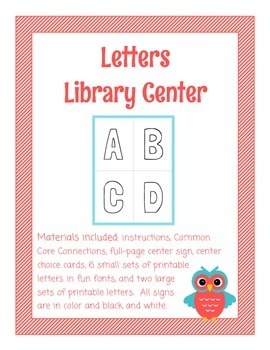 Materials included: instructions, Common Core Connections, full-page center sign, center choice cards, 6 small sets of printable letters in fun fonts, and two large sets of printable letters. All signs are in color and black and white.